My name is Keith Gorham and I have been teaching children just like yours for over 30 years. I, as well as my entire staff, truly care about the progress and well being of each of our students. We realize that each student is unique and special, and we strive to help each child reach their individual potential. We want our students to achieve their "personal" best. Our program offers the benefits of a Group Activity, yet the students are evaluated as individuals. Each child's success or failure is not determined by others within the group. This goes a long way in helping them develop "personal" Responsibility & Accountability. We've been teaching children just like yours for over 30 years. In that time, we've learned a thing or two about how children learn. First and foremost, children always do best when they are learning with others in their same age bracket. For this reason, our children’s classes are separated into 4 different age groups. This helps to ensure that your child is getting the type of training that is appropriate for their level of coordination and comprehension. 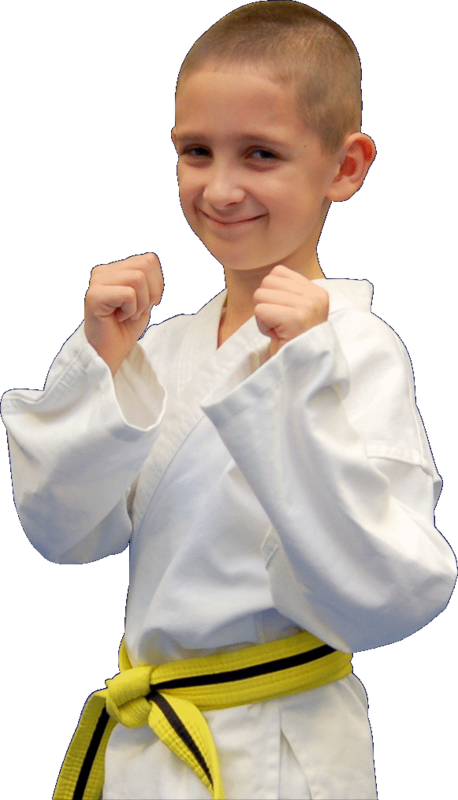 Rather than having 7-year-olds in class with & 14-year-olds, our age-specific classes provide a structure and pace aimed at the specific age bracket. This also allows the children to learn and work with others to whom they can more closely relate. This class is for Pre-School & Kindergarten ages 4 & 5. This is the perfect group for helping little ones improve their Motor-Skills, Coordination & Focus. 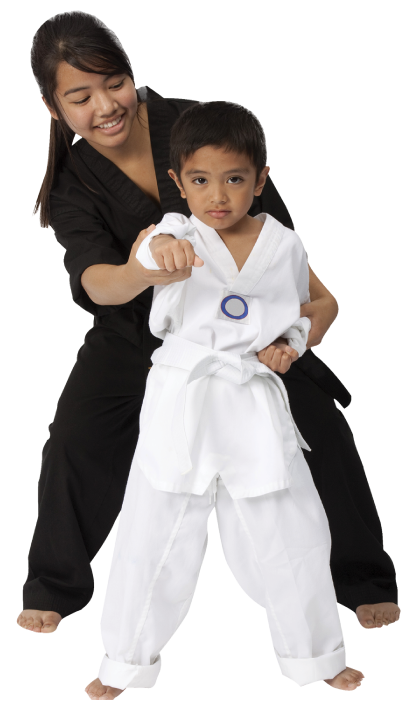 They learn very basic martial arts movements and do lots of fun and exciting activities that improve Balance, Hand-Eye Coordination, Pattern Recognition, Spacial Awareness and Much More. 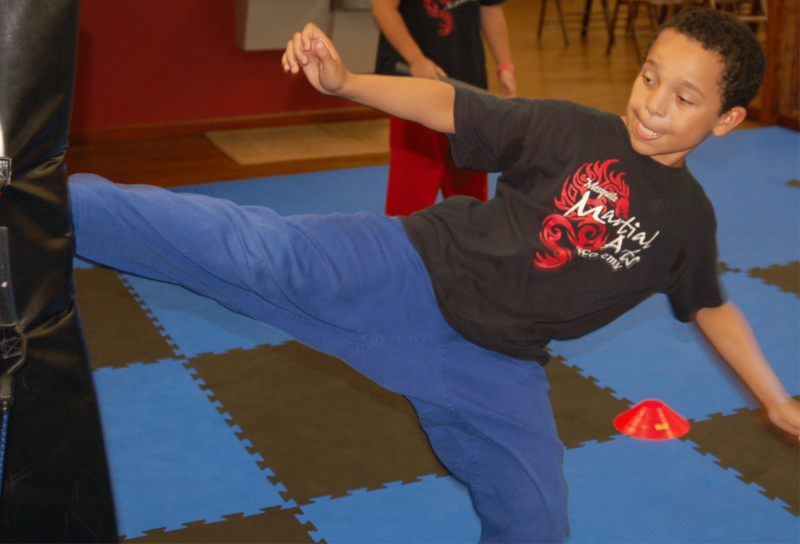 Running, Jumping, Rolling, Kicking, Punching and Yelling, these Lil' Dragons have GREAT FUN in our classes. The parents love the interactions between instructors and students, and love that their kids are learning great values while having so much fun. The Champs class is for our young students in 1st - 2nd Grade. This group learns the same curriculum as the older kids, but at a pace that is more suitable for the level of comprehension. We have a LOT of FUN in this class, but we also stress structure and following directions. 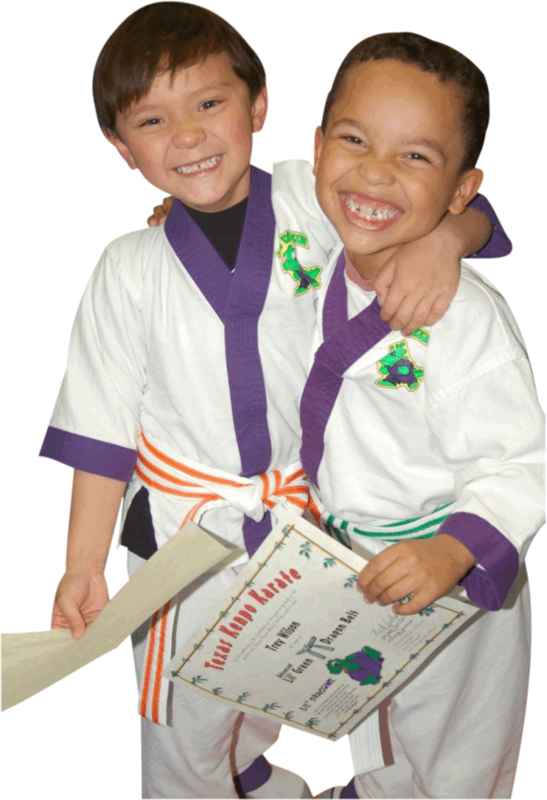 These young students learn Kindness, Courtesy & Respect along with their martial arts skills. Personal Responsibility is a common subject in class. 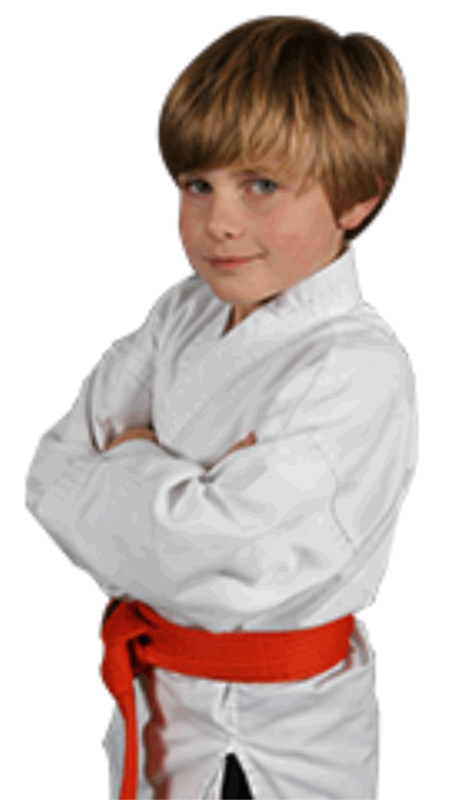 We help our students know that the privilege of learning martial arts, comes with great responsibility. Keeping their room tidy and their toys picked up is a great way to demonstrate personal responsibility. If you've got a child in 1st or 2nd Grade, this is the class for them. The Warriors class is a HIGHLY Energetic group. These boys and girls LOVE Action! They are loud and proud, and have a strong desire to learn more, do more and always get better. 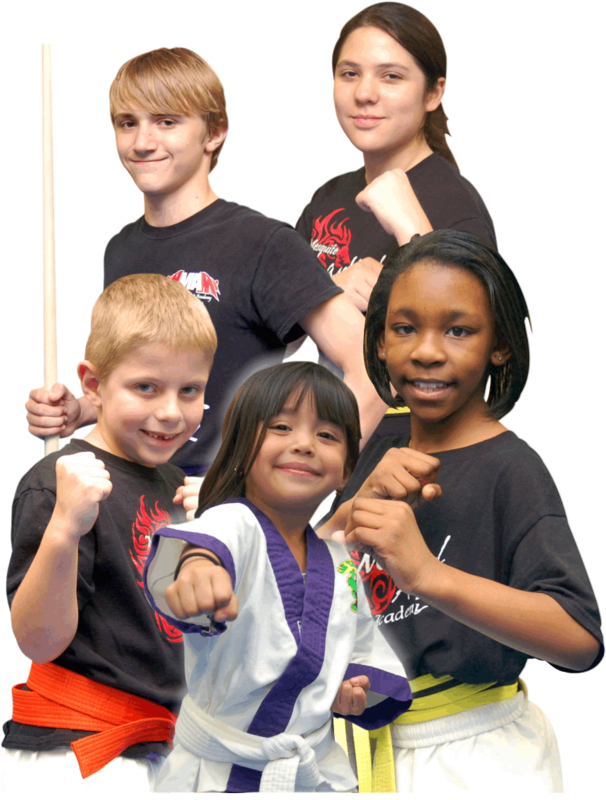 Each class is full of energetic movements, drills and skill-developing lessons & activities. This age group usually has pretty good coordination, allowing them to learn at a quicker rate than their younger counterparts. This has the class clipping along at a strong energetic pace that gives them the energy-release that their minds and bodies must have. We have a lot of fun while learning Focus & Respect. Let's face it. The teenage years are very difficult for most kids. They are trying to figure out who they are and where they fit in. They often have a lot of school related stress, dealing with peer pressure, and they are ALWAYS on their PHONE! lol. Our Teens class is aimed right at them. They step away from the stress, workout with good friends and get away from their phones. Our instructors are highly motivating and provide them with great, uplifting messages. The classes are high energy, very serious and full of skills and drills. Our program can take your teen out of Cyber-Space and into a Friendly & Uplifting place of friends and positive role models. We Teach Our Young Students to be Kind, Courteous & Respectful to others. “Healthy and Safe” doesn't have to mean dull & boring. 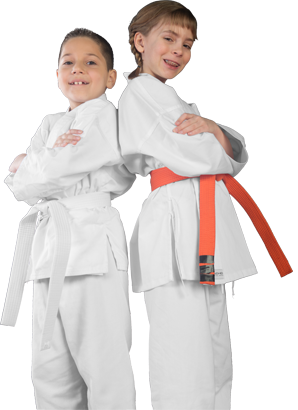 Our Martial Arts classes are filled with Healthy & Safe activities for your child. And yes, they are Fun as well. And don’t forget, the children are actually "Learning" something that will greatly benefit their lives. We do not follow the militant and abrasive format used by many martial arts schools. We believe that Positive Reinforcement is essential to achieve Positive Results. Our instructors are Patient and Motivational, and truly care about the character and progress of each and every student. Kids have FUN in our classes. 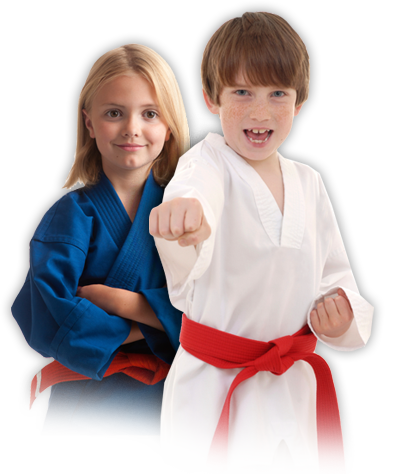 The many martial arts movements and drills are challenging to their coordination and great for their fundamental development. They are constantly Punching the Pads, Kicking the Bags, Rolling and LOTS of other great physical activities. The children also learn Non-Violent Conflict Resolution, and of course age-appropriate Self-Defense Techniques in case of a physical confrontation.